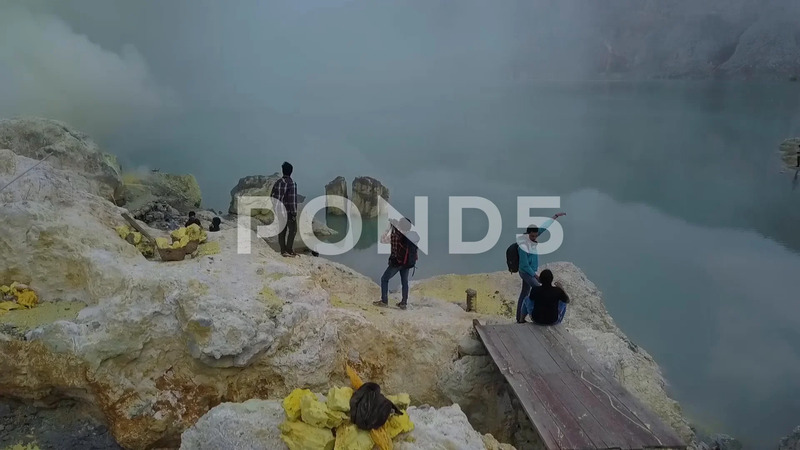 Panoramic View From The Ijen Crater. Sulfur Smoke And Volcanic Lake. Description: Kawah Ijen Volcano Crater. Jawa, Indonesia.